South African leader Nelson Mandela said that, “It always seems impossible, until it is done.” Mandela rightly envisioned the statement to mean freedom regardless of race, an ideal entirely supported by Americans, but the United Nations’ use of the statement during the meeting in Durban, South Africa is not supportable. When Mandela’s statement is applied to the UN’s legally binding greenhouse gas emission targets, which are either laughably ridiculous or absolutely insane, every American should take care lest the UN’s impossible dream be allowed to destroy our national sovereignty. The 1997 Kyoto Protocol set legally binding limits on greenhouse gas emissions at seven percent below 1990 levels by 2012, but no country has been able to meet that goal because it would have devastated their economies. The Protocol/Treaty was signed by former President Bill Clinton and unsigned by former President George W. Bush. It was never submitted to the U.S. Senate for the required two-thirds vote for ratification. Democrats and Republicans alike know that there are a myriad of problems with Kyoto. 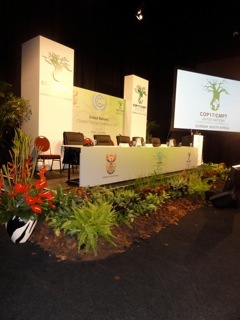 Even so, CAN International, a coalition of 700 radical environmental groups is in Durban demanding that when Kyoto expires in 2012, a new Durban agreement replaces it to set the greenhouse gas emission targets at least 25-40% below 1990 levels by 2020 and to decarbonize national economies by 2050. 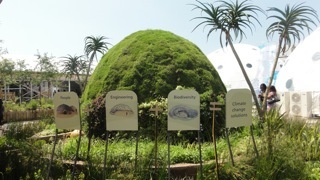 Environmental extremists in Durban have revealed how they think this can be accomplished. 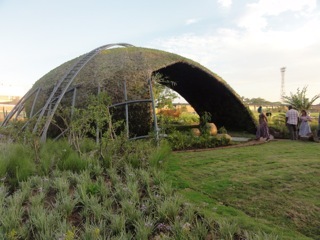 They are displaying a Zulu Beehive Hut that they claim is cool in the summer and warm in the winter because of its circular structure with a single door and no windows. 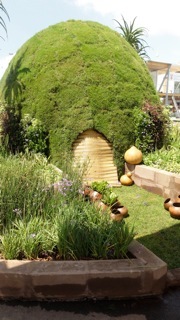 The green beehive’s exterior is ladened with plants. One could call it ingenious until he realizes that there is no running water or electricity in the beehive. And that the reason for its round structure is so that snakes are deprived of a corner to hide in! That standard of living cannot even appeal to environmental extremists. The UN is supposed to be a place for sovereign nations to freely decide what is best for their countries, but the truth is that the UN is bent on micromanaging them into extinction by setting impossible targets then micromanaging them to transfer once-sovereign nations’ authority to themselves. Canada, for example, was awarded the first place Fossil of the Day by CAN International because it plans to withdraw by Christmas from the Kyoto Protocol. (Each day CAN inflicts their Fossil award on a nation throughout major UNFCCC meetings.) Greenpeace activists responded by setting up LED emergency lights on the Canadian Parliament’s lawn stating “Climate Fail.” This is just one of the ways used by the UN to intimidate delegates to succumb to their extremist wishes. The U.S. won the second place award accused of being “the worst historical climate polluter” and being “beyond complacent by rationalizing the collective mitigation targets as in keeping with what climate scientists say is needed to avoid global disaster.” They concluded that, “The United States is either in denial about the science, or is trying to thwart justified pressure to improve its own ambition." Unless Americans are ready to exchange their homes for Zulu Beehive Huts, we had better notify our Congressmen that the inmates are running the asylum at the UN and we want our money withdrawn before they can do irreparable damage to our national sovereignty.